If you’re a post high school student with neurofibromatosis or schwannomatosis, and you live in NF Midwest’s service region of Illinois, Indiana, Iowa, Kentucky, Wisconsin, and the eastern half of Missouri (or have actively participated in NF Midwest even though you aren’t in our region) you are eligible to APPLY for a $1,000 academic scholarship from NF Midwest. Recipients will be awarded based on the selection process below. 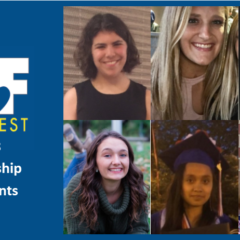 2019 will mark the fifth year of NF Midwest’s scholarship program. 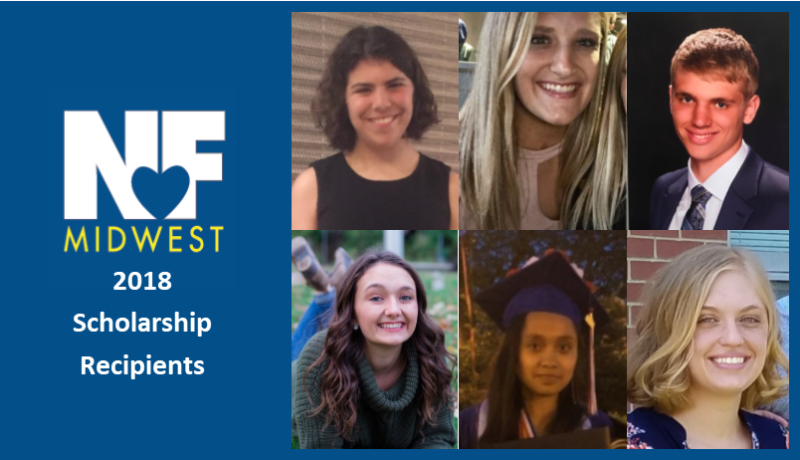 This program was established with funds donated by the Napolilli family, but because of the high demand for these scholarships, we need donors to continue funding this program. To date, we have provided scholarships to thirty-seven very deserving young people! These $1,000 scholarships are awarded once per student and may be used continuing undergraduate (Associate’s, Bachelor’s or Vocational) or graduate school on a full or part-time basis at an accredited, US-based institution. Applications undergo an initial review to ensure that all the information requested has been submitted by the deadline. If information is missing, we will contact applicants and ask them to send the additional documents. Scholarship recipients will be selected by the committee on the basis of criteria met and numbers of scholarships available. A letter of recommendation from a teacher, coach, mentor, etc. An official high school transcript and acceptance letter or confirmation of enrollment from your chosen college, OR an official college transcript for those already enrolled.